Is there a way you can be playing golf, playing the game with such heightened awareness that your performance improves as you play, no matter what? 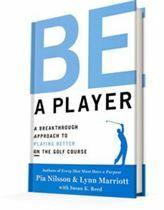 In their newest publication, Be A Player: A Breakthrough Approach to Playing Better ON the Golf Course, Pia Nilsson and Lynn Marriott, two of the best golf instructors in the world of golf, explain how it can be done. I interviewed both Pia and Lynn about their latest book and their breakthrough approach to playing golf. Listen to that interview here (18 minute listen), or you can read excerpts from the interview below. The Key: What is this new breakthrough apporach? It is more than learning and executing the mechanics of golf. You can practice techniques and shots at the range or putting green and never significantly improve. 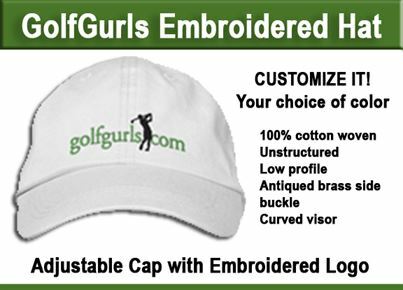 Your scores remain flat and your handicap never seems to go down. How do you integrate all that practice into your game while you play ON the golf course not just on the driving range? learning how to self-correct for a better outcome while you are ON the golf course. Here’s an example: You make a bad shot, you immediately start negative self-talk, your body tenses up and you loose focus. The next shot isn’t much better than the first… and the negative cascade takes over your game. What if you could learn how to recognize what’s happening, stop the negative cascade, and re-correct/re-direct your focus and emotions to get back on track, — and do it quickly and effectively? This is what Be A Player: A Breakthrough Approach to Playing Better ON the Golf Course is all about. How to tame the tension? How to correct for loss of focus, balance and tempo? The lessons in this new book promise a way for every golfer to break through and perform well. The book will be available both at vision54.com and at Amazon.com. Lynn Marriott and Pia Nilsson are co-founders of VISION54. 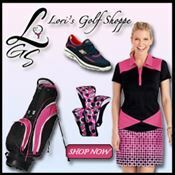 They are both featured among Golf Digest’s 50 Greatest Teachers, ranked the #1 and #2 female instructors in America. Wow this blog is fantastic I really like reading your articles.